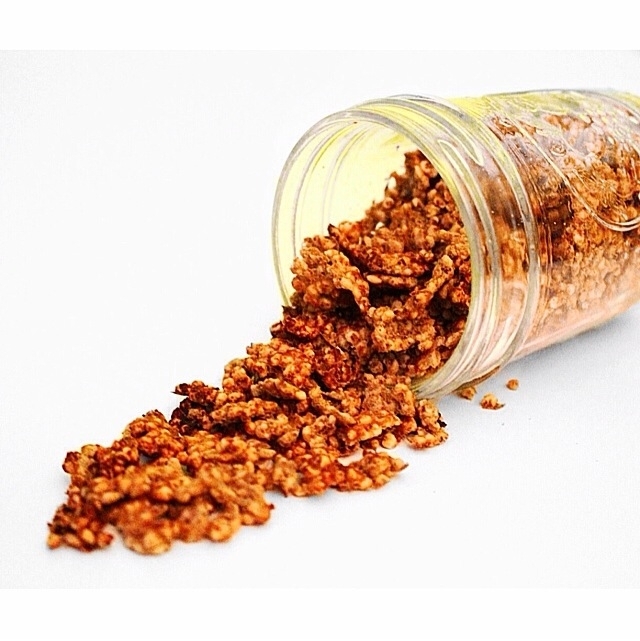 High protein and low calorie alternative to granola. Spread onto baking sheet and bake for 20-30 min at 325F (on top rack). Stir every once and a while to help get it crunchy.